Alley Cat Allies launched National Feral Cat Day on our 10th anniversary in 2001 to raise awareness about feral (also called community) cats, promote Trap-Neuter-Return, and empower and mobilize the millions of compassionate Americans who care for them. This year’s poster features real cats with real stories that embody the “All Cats All Communities” theme! Meet our poster cats: Inky, Pearl, and Pie! More people respond to the call to action and celebrate National Feral Cat Day every year. Since 2011, more than 2,773 National Feral Cat Day events and activities have taken place—spreading the word and helping cats all over the country and the world. We can’t wait to reach even more people with National Feral Cat Day this year! Cats have lived alongside humans for more than 10,000 years. They are part of the natural landscape. Feral cats, also called community or outdoor cats, are the same species as pet cats, live in groups called colonies, and can thrive in every landscape. They are just as healthy as pet cats, but they are not socialized to humans and are therefore unadoptable. Trap-Neuter-Return is the only humane and effective approach to caring for community cats and stabilizing the cat population. From 2003 to 2013 the number of local governments with official policies endorsing TNR increased tenfold, with hundreds of cities and towns successfully carrying out TNR programs. That number continues to grow every year. In many cities, cats are still caught and brought to animal shelters and pounds, where most are killed. In fact, the shelter system is the number onedocumented cause of death for cats in the United States. About 70% of cats who enter shelters are killed there, and that number rises to virtually 100% for feral cats. That’s why it’s so important for people like you to join us for National Feral Cat Day®, and every day. Together, we can change policies and create compassionate communities for cats. Founded in 1990, Alley Cat Allies is the only national organization dedicated to protecting and improving the lives of cats. Over 600,000 people worldwide support Alley Cat Allies and champion our mission to protect all cats. Be sure to go to the link above about the 3 cats on the post to read their stories! October 16 is also my future daughter-in-law’s birthday. She’s a “mom” of two cats. Happy birthday, R! Why is it important that today is National Feral Cat Day? Because cats are our human responsibility since we have been irresponsible in our treatment of cats (and dogs)–and not all cats can live in a home when they have only lived in feral cat colonies. Alley Cat Allies does amazing work with feral cats. 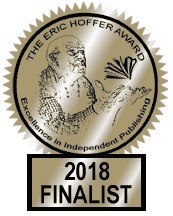 Hubby and I support their work in spirit and with our checkbook. They are very big into TNR which means trap-neuter-return, a way of saving the lives of feral cats without the cats being allowed to produce generations more in their colonies. 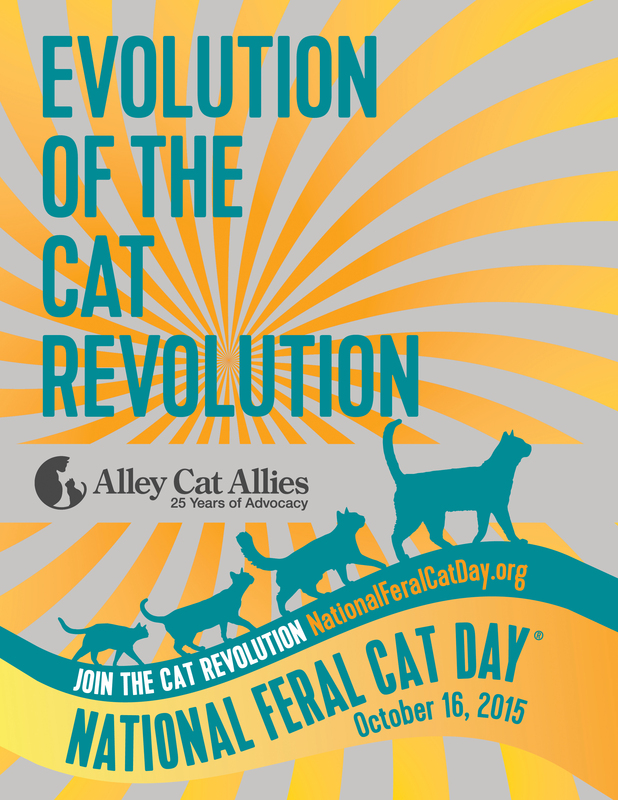 This is what Alley Cat Allies has to say about National Feral Cat Day. If you tweet, look for and tweet #feralcatday!!! Use these facts about National Feral Cat Day®, community cats, and Alley Cat Allies to prepare for interviews and write letters and press releases. Print this poster to use at your events. Alley Cat Allies launched National Feral Cat Day® on our 10th anniversary in 2001 to raise awareness about feral (also called community) cats, promote Trap-Neuter-Return, and empower and mobilize the millions of compassionate Americans who care for them. National Feral Cat Day® is observed on October 16 every year. More and more people respond to the call to action and celebrate National Feral Cat Day® each year. Since 2011, more than 1,500 National Feral Cat Day® events have taken place—spreading the word and helping cats all over the country—and even outside of the U.S. with international events. We can’t wait for you to reach even more people with National Feral Cat Day® this year! Cats have lived alongside humans for more than 10,000 years. They are part of the natural landscape. Feral cats are the same species as pet cats. Feral cats, also called community or outdoor cats, live in groups called colonies and can thrive in every landscape. They are just as healthy as pet cats, but they are not socialized to humans and are therefore unadoptable. Trap-Neuter-Return—a humane approach to managing and caring for community cats—is the only effective method of stabilizing cat colonies. In the last decade, the number of local governments with official policies endorsing TNR has increased tenfold, with hundreds of cities and towns successfully carrying out TNR programs. However, in the majority of cities, cats are still caught and brought to animal pounds and shelters where they are killed. The shelter system is the number one cause of death for cats in the United States. About 70% of cats who enter shelters are killed there, including virtually 100% of feral cats. That’s why it’s so important for people like you to join us for National Feral Cat Day®, and every day, to help change society and create compassionate communities for cats. Founded in 1990, Alley Cat Allies is celebrating 25 years of protecting cats and is headquartered in Bethesda, Maryland, just outside of Washington, D.C.
Alley Cat Allies is the only national organization dedicated to the protection of cats. Over half a million people nationwide support Alley Cat Allies and champion our mission to protect and improve cats’ lives.